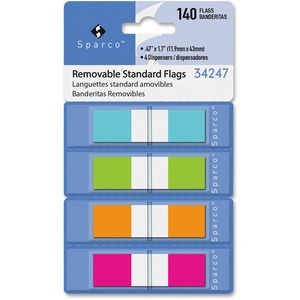 Call attention to details and color-code your documents with these 1/2" page flags. Pop-up dispenser makes marking pages easy and allows easy access. Write on, reposition and remove self-adhesive page flags without damaging your document.